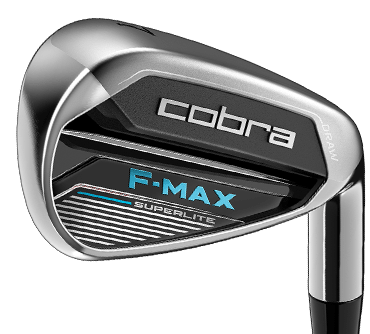 The F-MAX Superlite combo set features COBRA's lightest and most forgiving iron and hybrid constructions. Hybrids replace long irons for higher launching trajectories to create consistent distance gapping in between clubs. The lightweight combo set configuration is ideal for golfers with slower, smoother tempos who struggle to hit their long irons consistently. The long irons are replaced with forgiving hybrids to give this golfer more confidence on longer approach shots. As golfers age, their swing speed naturally decreases resulting in shorter distances and inconsistent gapping. 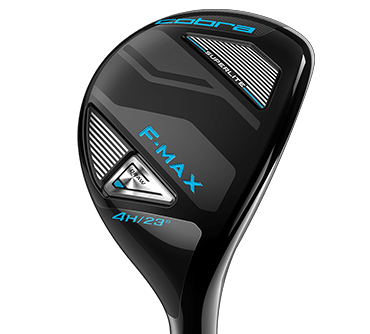 With F-MAX Superlite, we've engineered extremely lightweight and forgiving irons and hybrids that are designed to improve feel, speed, and consistency for golfers with moderate swing speeds.